"You should serve your body well, so that the soul wants to live in it": With this quote from Winston Churchill, my team and I would like to welcome all guests to the Mercure Parkhotel Krefelder Hof. Best wishes, Bart Vaessen, hotel manager. 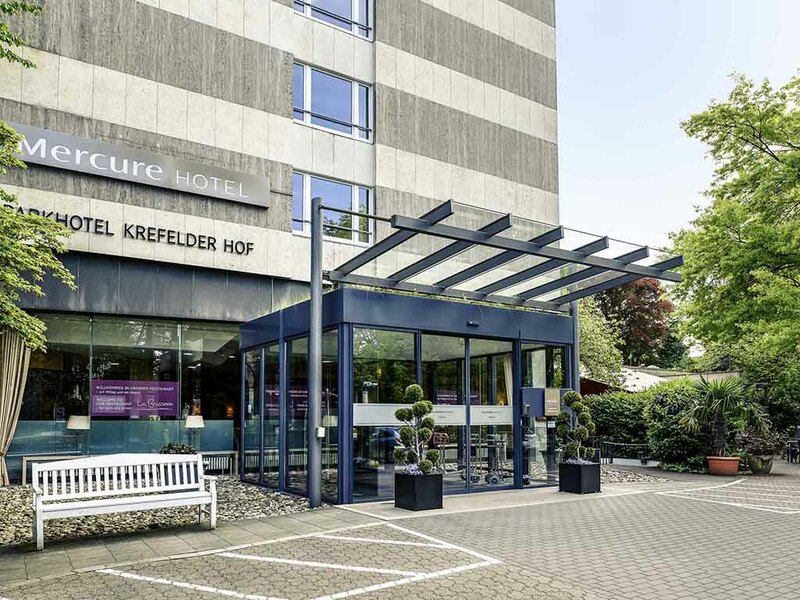 At the 4-star Mercure Parkhotel Krefelder Hof, you have the choice between Standard, Superior and Privilege Rooms or spacious Suites. And you will sleep even more comfortably with a pillow chosen from our pillow menu. WIFI is available in all 160 rooms and most rooms are air conditioned. One child aged up to 12 years can sleep in their parents' room free of charge. We will provide a crib on request. Your pet is welcome (charge of EUR 12 per night). The international and Lower-Rhine dishes served in our "La Brasserie" restaurant will captivate you. We also serve weekly seasonal offers. Craft beer evenings are held every Friday in our rustic ale house. Rummet var bra och sängen skön. Jag sov bra och frukosten var bra. Trögt internet, dyr frukost, galet dyrt rum. Verkligen inte prisvärt. dyrt för den standard som var! Inte ens en vatten flaska på rummet! ingen speciell frukost med tanke på att den kostar extra! Det var bra. Skön säng och trevlig personal. Jag gillar frukosten.